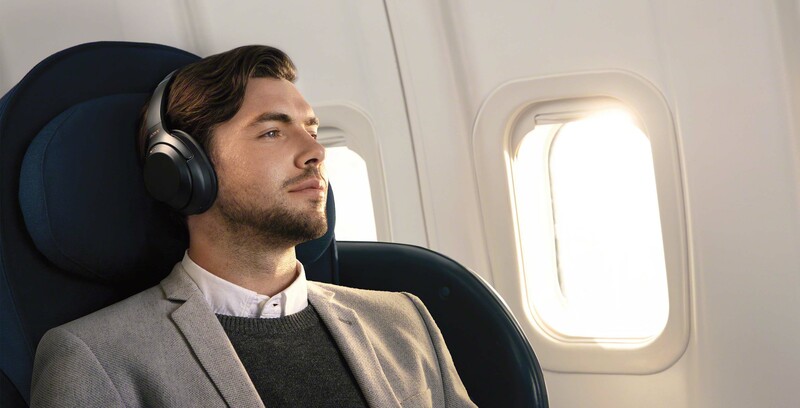 Sony’s WH-1000XM3 headphones, widely lauded as the best noise-cancelling headphones, reportedly have some issues with cold weather. 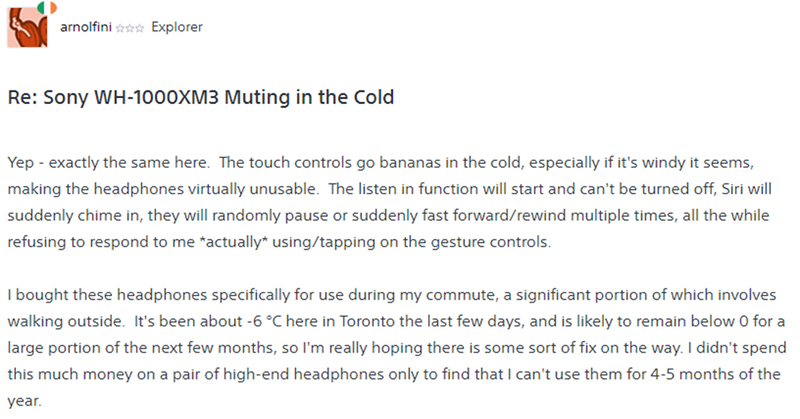 Several threads have cropped up on Sony forums and Reddit citing issues with the headphones between roughly zero and 10 degrees Celsius. Primarily, the cold seems to affect the M3’s tap controls. Unlike many headphones, Sony opted for touch-based controls on the exterior right cup. It allows users to swipe to change volume and tap to activate Google Assistant or Siri. Wind seems to aggravate the issues, with strong gusts triggering Google Assistant or Siri. Sony says the M3s should function optimally at zero degrees and up, but most people have had issues at temperatures above that. It’s not clear what exactly is causing the issue, but Sony has suggested to some users that power-cycling the headphones will fix the problem. Some users report that doing so temporarily fixes the issues. It’s possible that the issues stem from bugs with the touch sensor, which Sony could remedy with a software patch or an option to toggle off touch controls in the M3’s companion app. However, it could be worse than that. One Reddit user mentioned a statement from Sony Canada, which suggested Sony’s engineers were looking at the issue to see if it was a faulty batch of units or a larger design oversight. If that’s the case, it could take more than a software update to fix the headphones.